Miami Heat guard Goran Dragic has been named by NBA Commissioner Adam Silver to replace injured Cleveland Cavaliers forward/center Kevin Love on Team LeBron in the 2018 NBA All-Star Game, to be played Sunday, Feb. 18 at Staples Center in Los Angeles (8 p.m. ET). This marks the first NBA All-Star selection for Dragic, who becomes the first player from Slovenia to earn the honor. The 10-year veteran is averaging team highs of 17.0 points and 4.8 assists per game for Southeast Division-leading Miami (29-22), which has the fourth-best record in the Eastern Conference. Dragic joins Kyle Korver (2015), Tyson Chandler (2013) and Sam Cassell (2004) as the most recent players to be named an All-Star for the first time in their 10th season or later. A member of the 2013-14 All-NBA Third Team, the 6-3 Dragic was the the 45th pick in the 2008 NBA Draft. Love, a five-time All-Star selection, will miss the 2018 NBA All-Star Game after sustaining a left hand injury against the Detroit Pistons on Jan. 30. He was selected by NBA head coaches as an All-Star reserve and drafted to Team LeBron by captain LeBron James of the Cavaliers. According to NBA rules, when an All-Star is unable to participate, the commissioner shall choose a replacement from the same conference as the player who is being replaced. Love and Dragic both play for Eastern Conference teams. 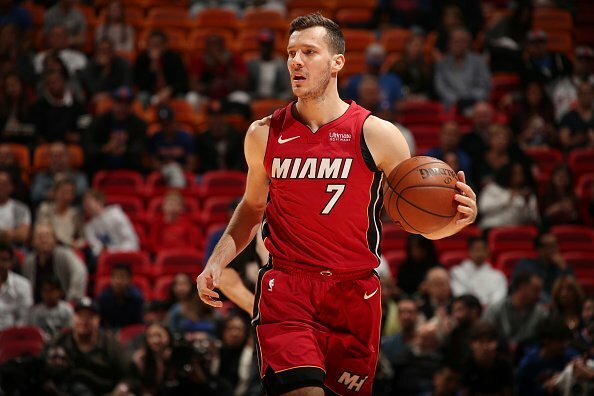 Dragic received the most voting points from NBA head coaches among Eastern Conference players who were not selected as reserves or already named as an injury replacement. The 67th NBA All-Star Game will air on TNT and ESPN Radio and reach fans in more than 200 countries and territories in more than 40 languages through the league’s international television and digital partners. The game features a new format in which team rosters were drafted by James and the Golden State Warriors’ Stephen Curry, the captain of Team Stephen.